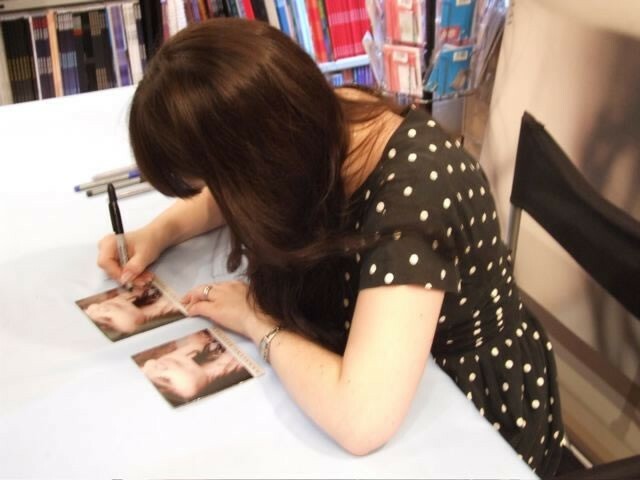 Doing an in store appearance and or CD signing is an excellent way to connect with fans and get your name out to new ones. If you are just starting out local, then go to a local CD store that is selling your music and ask them if you can do a CD signing there. Tell them you will promote it and maybe even get your local college station to mention it on the air or if you are getting regular radio spins on that station too. If you have a show that day it is even better because you can promote 2 things at once and even give away free tickets at the signing. If you are an artist or band on more of a regional or national level then do the same in each state. If you have a show in Ohio, call stores in Ohio that carry your CD a couple of weeks before your show and tell them you are performing in their city and want to do a CD signing. It really helps if you are getting some sort of radio play in that city as well. Keep doing this state to state or if you are still local expand slowly from city to city near you!.